Home / Simple Living / The 9 Tray Excalibur Dehydrator vs Deep Freezer—what does it really cost to store food? The 9 Tray Excalibur Dehydrator vs Deep Freezer—what does it really cost to store food? How does the cost stack up over time? When we talk about storing food, you can effortlessly weave “savings” into the same conversation. My inner geek really took interest when I saw an article like this one at TheSimpleDollar.com. Is a deep freezer really worth it? In this blog, I want to compare and contrast the cost of dehydrating food and storing it for one week verses freezing it in order to store it for one week. Pragmatically, thrift is a great reason to store food. If I were to buy Twinkies® on sale (which I would not do, but for this discussion say that I actually did) I would not really worry about taking any measures to preserve them. However, say for instance you got a great deal on something highly perishable like fresh carrots from a farmer’s stand. Would it indeed be great to still have those same fresh carrots six months from then– say in the middle of winter– when you cannot get fresh carrots for that price? Entropy, we may as well embrace it. Until man can overcome Newton’s Second Law of Thermodynamics we are stuck with precious few methods for food preservation: freezer, dehydrator or fermentation. 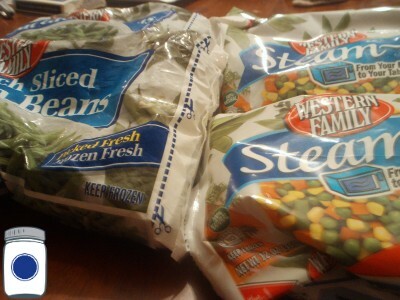 I needed a bench mark to start, so I took a few bags of frozen vegetables as a test subject for both appliances. A full freezer is an efficient freezer! However, my upright chest freezer does not really scale in measurable cost of running it for a bag or two of vegetables as compared to it being packed full of venison. For our experiment, some wiggle room needs to be factored in for the total operating cost. 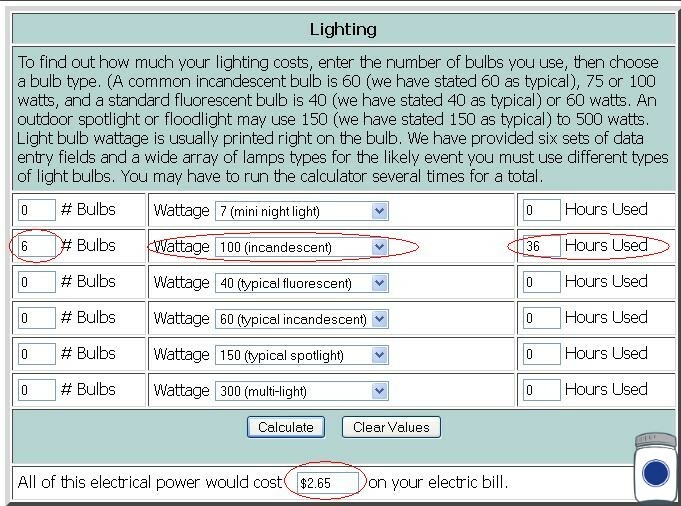 I needed a cost for electricity which is typically measured in Kilowatt Hours. 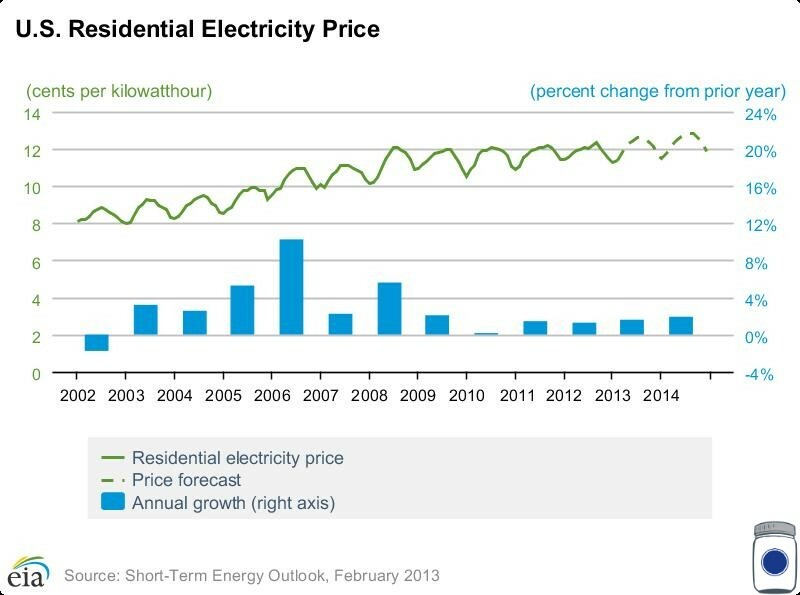 As of the time of this blog writing (March 2013), the national average for a Kilowatt Hour of electricity is $0.1227 (up from $0.1127 in December 2011) according to the EIA/Department of Energy. There are several useful energy calculators on the internet. I happen to really like this one. 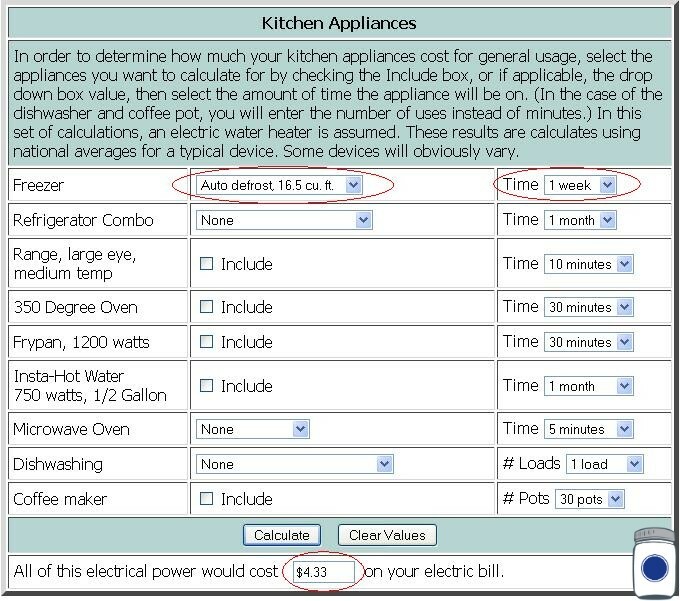 Plugging the average cost for March 2013 into the energy calculator, I can then calculate the cost of running just about any appliance. I wanted to keep this comparison apples-to-apples. We can attempt to factor in things like where is the freezer stored—in the cool basement or exposed to the hot sun on a porch, filled to capacity or empty, how many times is it opened typically during a day, etc. 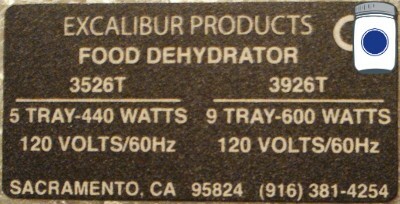 Likewise, the 9 tray Excalibur dehydrator may not be the one that you own (yet), and if you are not running it on the highest heat setting, it will consume much less wattage than 600 Watts. Also is 36 hours too long for your typical dehydrating processes? For us, we like lower heat longer time so that my finished product is dry and crunchy for long term storage. Also keep in mind that this is a one-time electricity charge for that food item, not weekly freezer space rental. In all reality, I believe that this is a fair comparison. If you disagree with that, please leave a comment. All things considered, simply storing the vegetables in the freezer for a week costs (according to the calculator) $4.33 (up from $3.98 in December 2011). 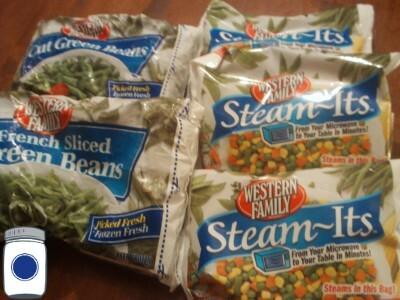 Now, dehydrating the same vegetables for 36 hours costs $2.65 (up from $2.44 in December 2011). Add a 50cc Oxygen Absorber to the jar for an additional cost of $.10 and I can store those same vegetables for months and even years! Let us take this a step further. Say you got a killer deal on frozen goods. How long could you store them at ~$4 per week before the sale is not so great anymore? Or, let us say you were not even worried about freezer burn, how long until the storage starts costing you more than you paid for the food itself at ~$4 a week rent to store it? Coupon or not, you need to consider that ongoing cost into your food budget calculations. Taking this one step even further, you have that same $2.65 invested in the dehydrating process holding your on sale items long into the future without any reoccurring costs. This effectively makes your hard won bargains always on sale to you months or even years later. We love the Excalibur 9 tray Dehydrator in our house—easy to clean, dries the food evenly and it is made in America! Dehydrators are the work-horse of the do-it-yourself long term food storage minded family. Everyone is talking about this Excalibur dehydrator! I have so many friends… well, I guess I’ll buy one for myself too. I got into all that emergency food storage thing after a long consideration of all the climate changes and the unstable economics, so thanks for sharing the experience I really needed to read more about it! You gave me a different perspective. I’ve been a freezer centric person for 40 years and started dehydrating 4 years ago. Im also going to the big 9 shelf excaliber in october. It’s hard for me to believe a freezer could draw that much power, so I will measure amp draw with my meter to get an exact number. My freezer is a 30 year old kenmore 14 sq ft upright and it does not defrost which means less power and more ice. Im a hobby cooker with a commercial kitchen in my garage and more equipment than alot of restaurats. can send you pics if you want to see. Thankyou for doing the research, it was enlightening. Glad you learned from that article! I must admit, I myself wouldn’t have realized it either…but Wilson is a bit of a nerd that way. We would LOVE to see pictures of your kitchen! Email them to me at customer pantryparatus.com and some descriptions of it–and if you give permission, I would post them on our site or on social media too…everyone loves to get great ideas from other people’s setups. I’d be curious what you have, what works for you, and what you would change if you had to do it all over again. We look forward to hearing from you.